It's been interesting weather these last few weeks. 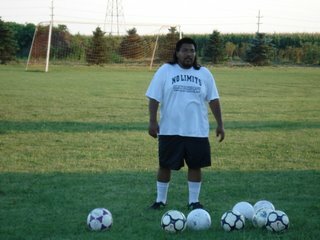 I am posting a bunch of pictures from last night's training on the No Limits Photo page. There will be evening from 6pm to 8pm on Tuesday and Thursday August 1st and 3rd. There will not be evening summer training on August 8th and 10th because the Under 13 Boys Team will be having team training from 6pm to 8pm on those days to prepare for the seeding tournament the weekend of August 11th. There will be two additional evening training sessions on Tuesday and Thursday August 15th and 17th. Fall team training will then begin the week of August 21st. The Boot Camp scheduled for the week of July 31st has been cancelled due to personal reasons. We are rescheduling the Wednesday's cancelled camp day to Monday July 31st from 12 to 4.